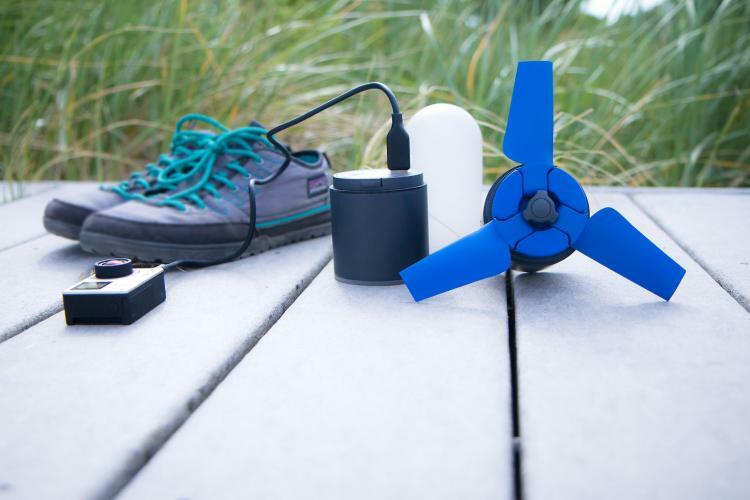 This portable water turbine allows you to charge your mobile devices using the power of flowing water. 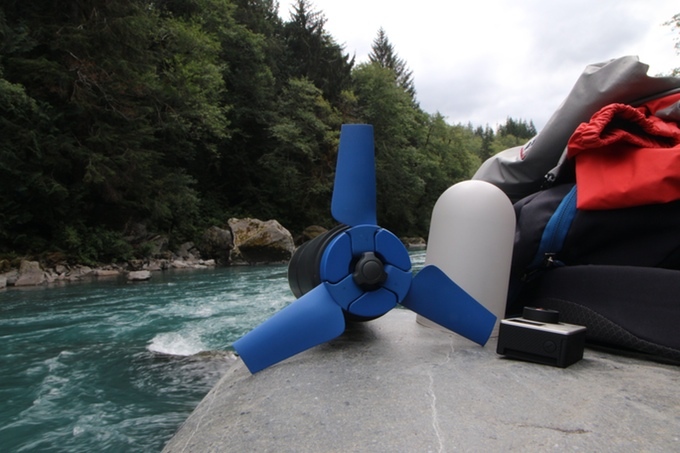 Aptly named Estream, the portable generator can be used by hanging it into a river, by pulling it behind a kayak, or using it with any sort of running water to generate power. To use it, simply remove the cover, unfold the turbines and lock them in place, then just hook it into running water. By letting it spin freely, the power of the water will generate power to charge the internal battery inside of the device. Once the battery is charged fully or even part way, you can connect your devices via USB to charge them. It takes approximately 4.5 hours to fully charge the internal 6,400 mAh lithium-ion battery, which in turn can charge your smart phone up to 3 times over. 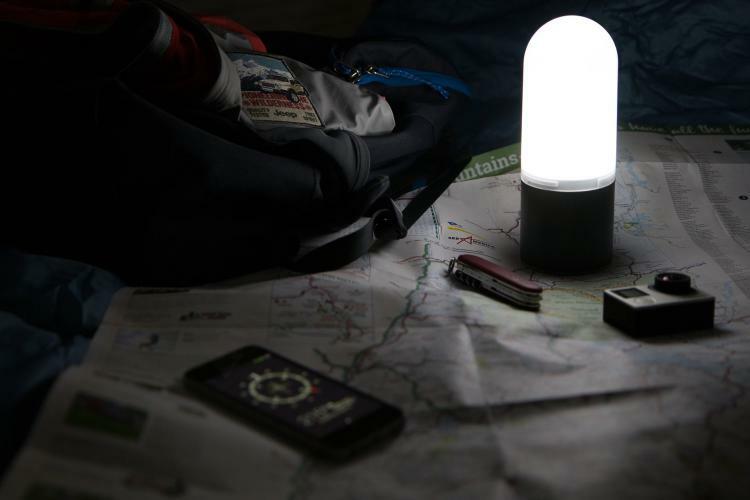 The device can also be used as a lantern by by putting the cap back on. 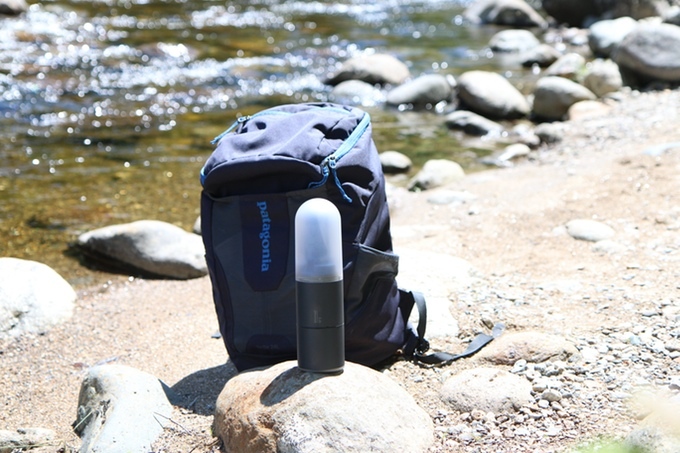 It's completely waterproof and can even be illuminated underwater. 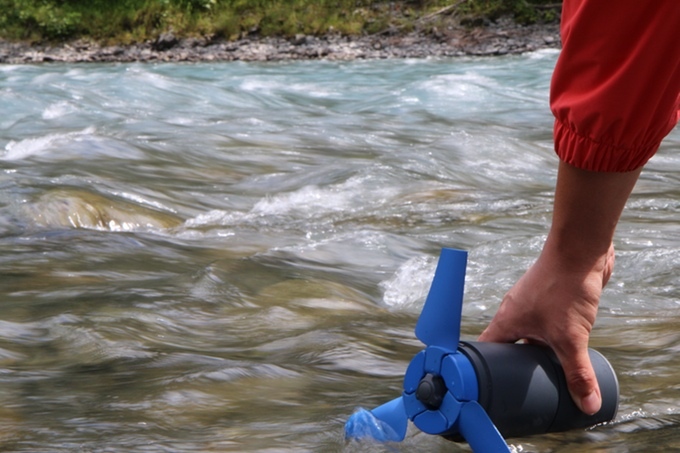 The Estream portable water turbine generator is currently in a funding phase on Kickstarter with an estimated delivery date of November 2016, so go reserve yours now, or get more information on their website, and be sure to check out the water turbine phone charger in action via the video below.